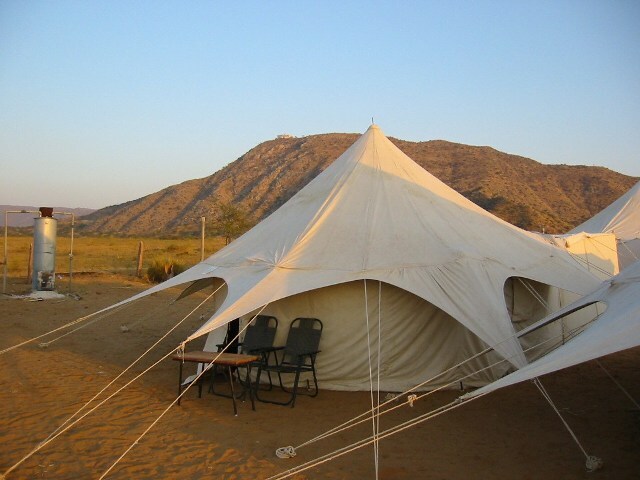 The company is chiefly engaged in the manufacturing, exporting, and supplying of Desert Camping Tents in all over the world. 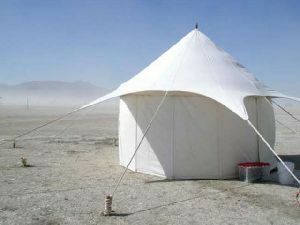 The Desert Camping Tents is known for its higher quality standards, perfect stitching, unique designs, and contemporary look. 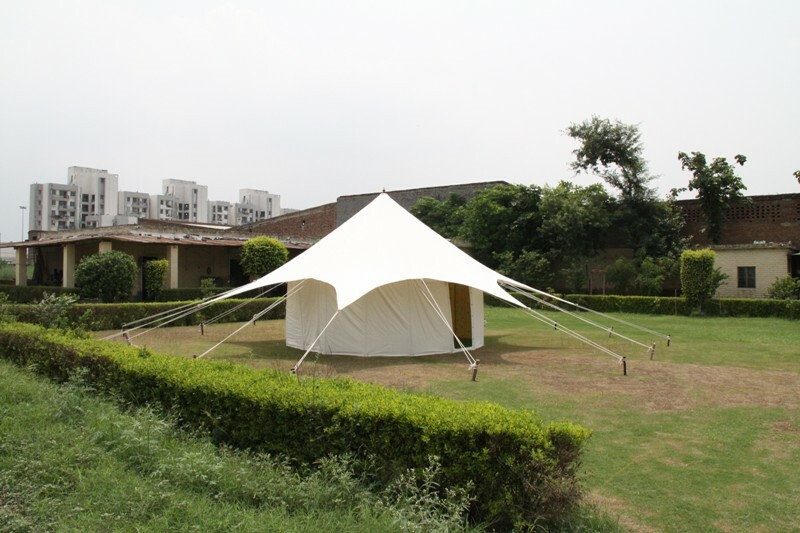 The Desert Camping Tents can be availed from us in different patterns and sizes, as per the special demands of the clients. 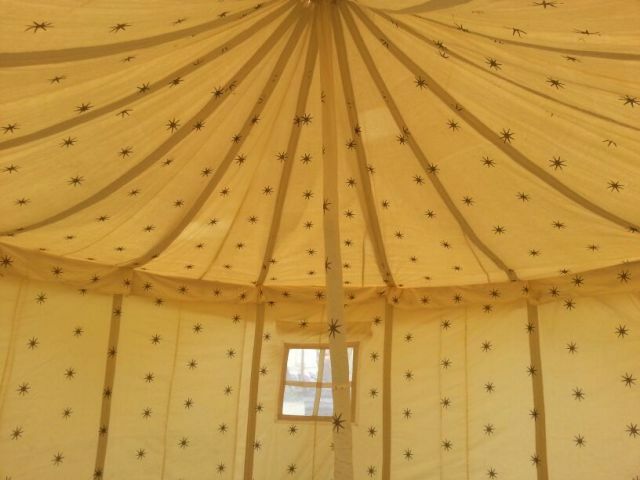 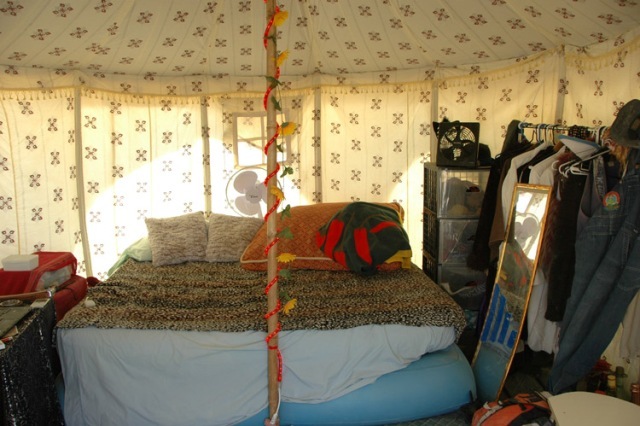 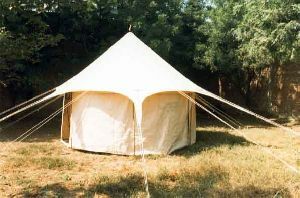 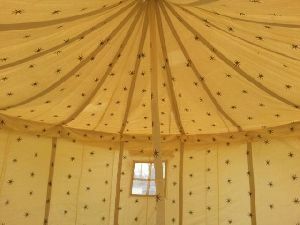 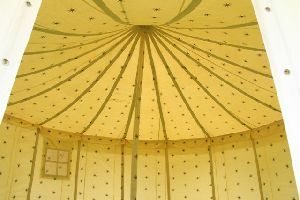 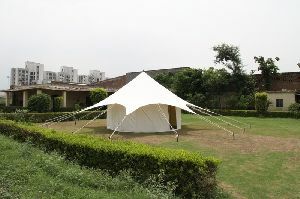 This Tent is basically round in shape, the tent top is elongated into wings which gives the Tent a beautiful shape. 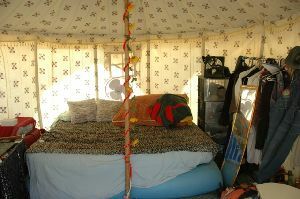 To bear the drastic climate conditions of the Desert, this Tent is made in Double Fly, i.e. three layers of fabric on the Top. 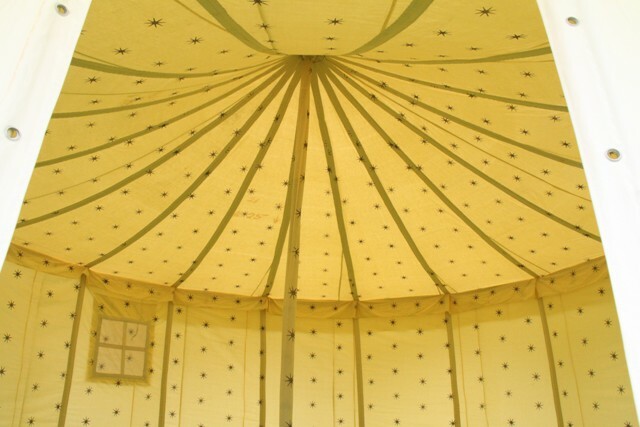 These layers guard the interior from the scorching sun. Accessories : Bamboo poles, wooden pegs, cotton ropes, wooden pole tops, iron pins.